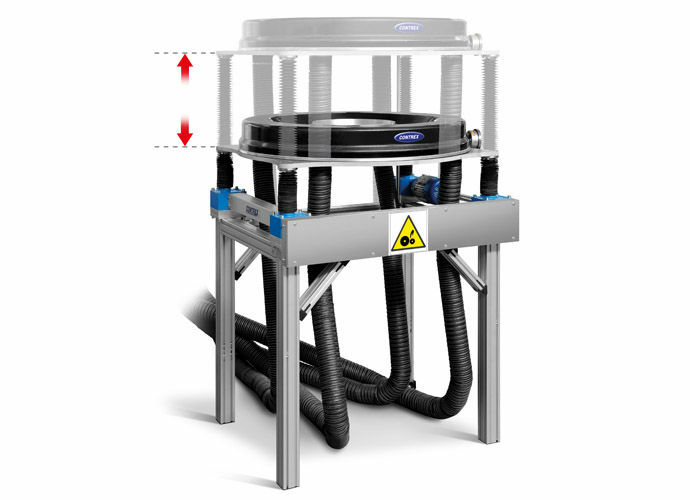 Cooling rings, Products | Contrex S.r.l. 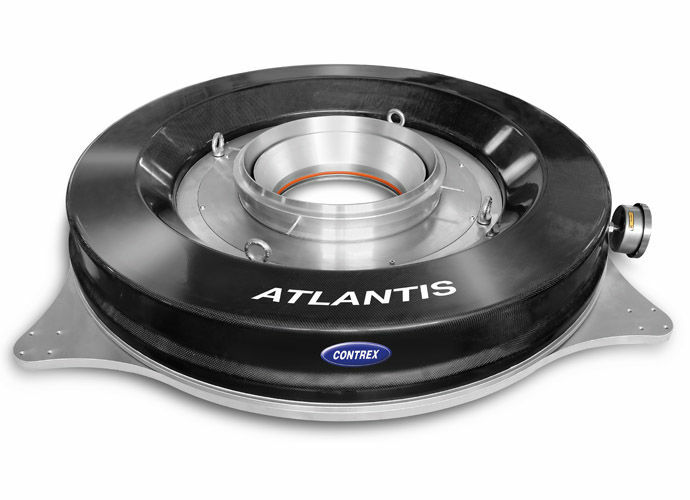 ATLANTIS is a high-efficiency, stackable and multi-flow cooling ring, with sectoral thermal modulation for accurate and automatic gauge control. 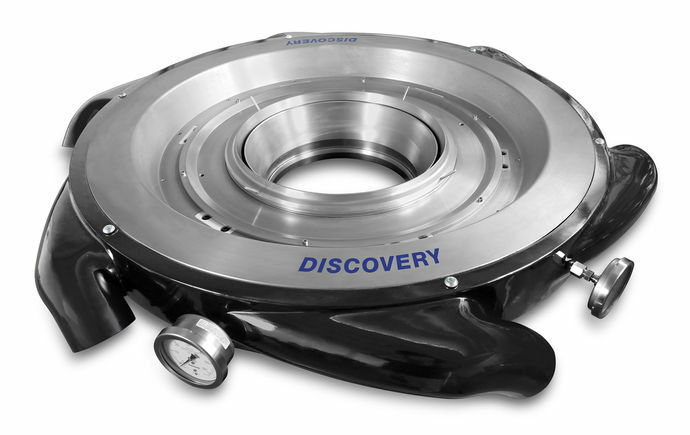 This cooling ring maintains the precision in thickness control and management from the Discovery line enabling the operator to realize fast and easy adjustment and preparation for production startup and changeover. With the automatic system LIFTER, Atlantis 23T improves the production efficiency by 50% by automatically lifting the top ring to the desired height depending on the production. This further enhances the mechanical film properties and improves on both quality and productivity. LIFTER is a motorized system that adjusts the mobile part of the ATLANTIS ring to the most suitable position required by the resin typology in process, thereby ensuring that the frost-line is positioned correctly. 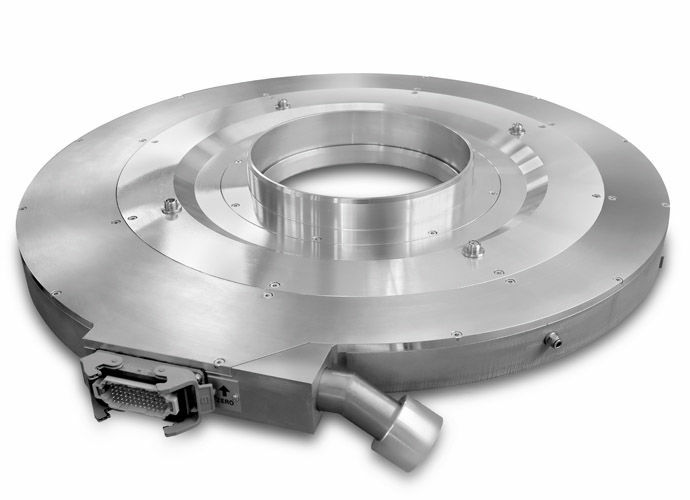 The innovate design of the LIFTER enables higher cooling of the blown film and further maximizes overall production efficiency.